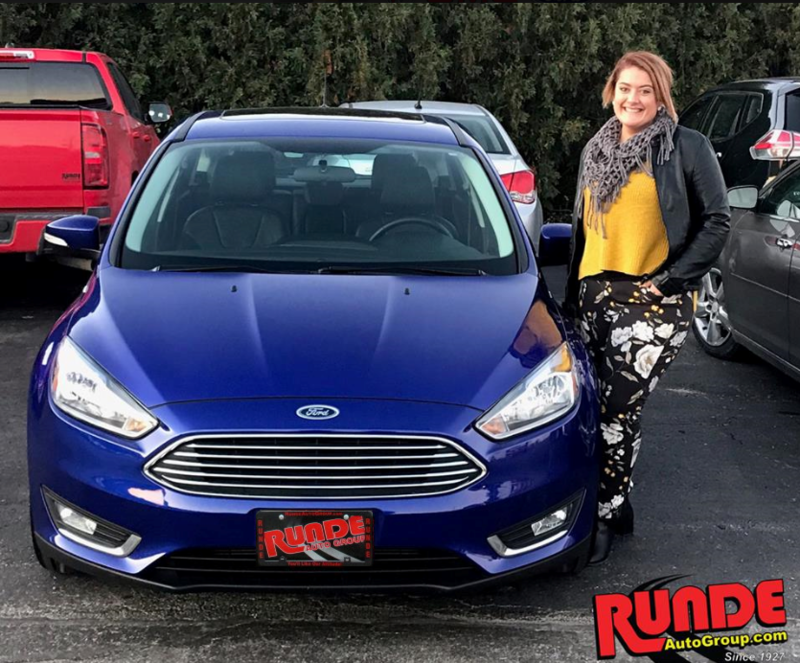 Maggie L from East Dubuque purchased a 2015 Ford Focus Jacob Puls at Runde Chevrolet. Thanks for the business, Maggie. If you hail from the East Dubuque, Illinois area and are searching for a new or used Ford, Runde Auto Group has all the facts and figures you'll need available to you online. We don't just sell Fords - we also service and can order parts for most all makes and models of cars, trucks and vans. You're sure to find what you're looking for at Runde's with one of the largest online vehicle inventories in the heartland of the midwest. Whether you're searching for something that runs on gas, e85, diesel or pure electricity, please check us out to see all we have to offer. Runde Auto Group doesn't just cater to people in the East Dubuque area shopping for a Chevrolet. We deal in many makes and models from the various manufacturers. Give us a call at 866-735-5200 with any questions - whether you're looking to buy a new truck or the car you're currently driving, Runde's has your needs covered. Visit our service department near East Dubuque, Illinois for your routine oil changes and tire rotations. If you need more extensive repair, we also staff many certified Chevrolet technicians who are fully capable of performing the most complex services on your vehicle. With four separate service locations, over 30 technicians and competitive pricing, going to a Runde service center near East Dubuque, Illinois is one of the best decisions you can make for your wallet and your vehicle.